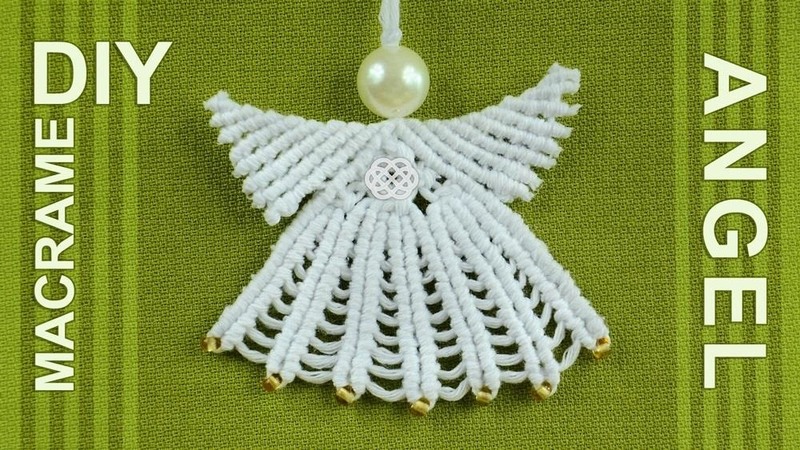 Cute Macrame Angel - decoration for Christmas Tree. Handmade ornament ideas. Can be used as a keychain. They look lovely on the Christmas tree, hanging in a window, on a door or in a row from the mantelpiece. 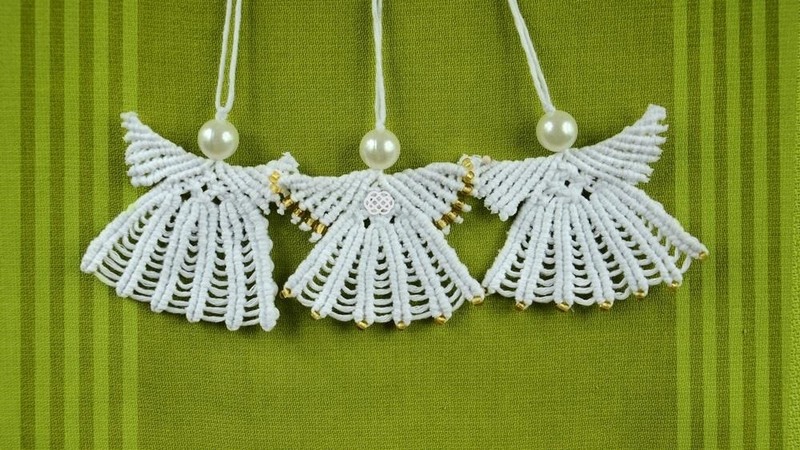 This Macrame pattern is flexible in that you can make it different sizes, depending on the thickness of the cord you use.